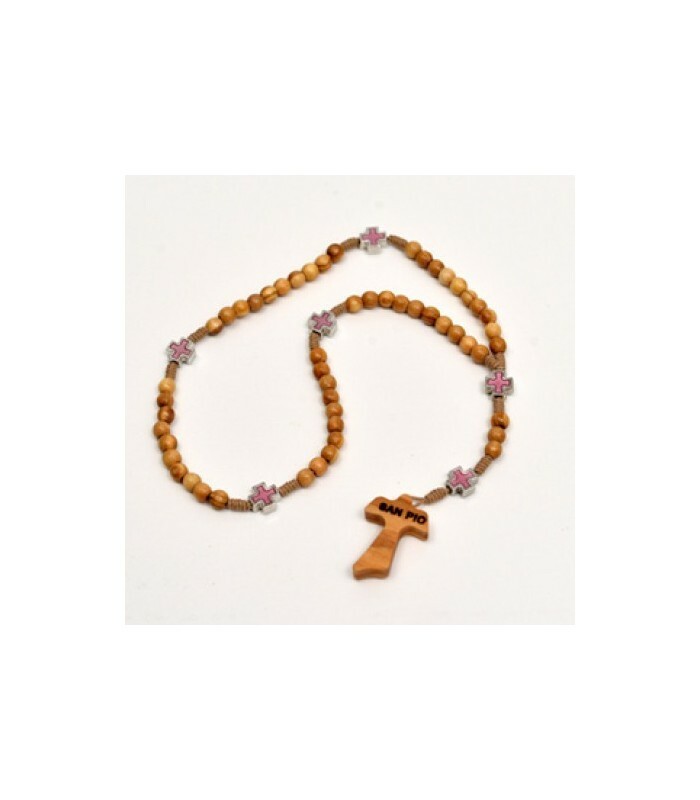 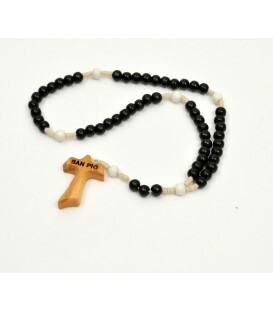 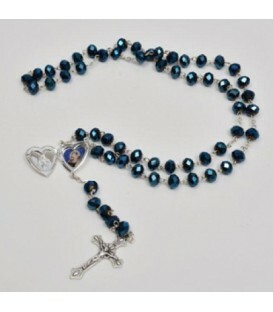 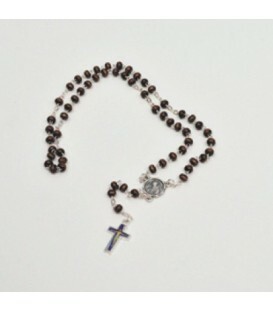 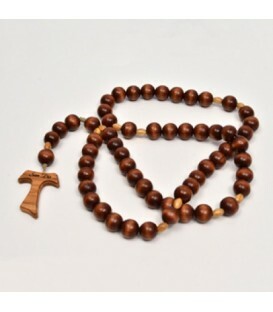 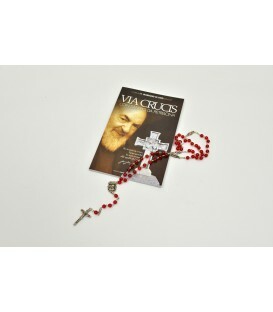 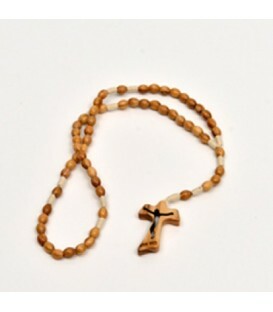 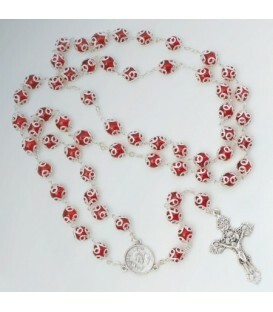 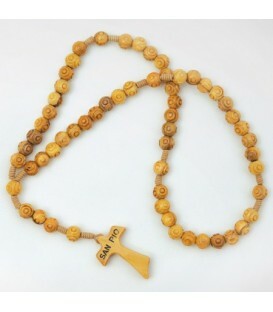 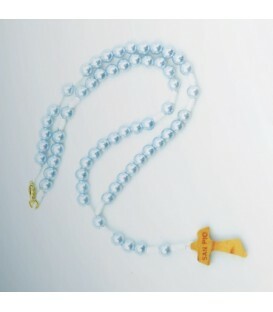 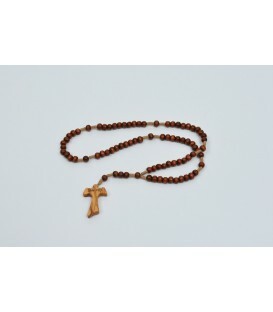 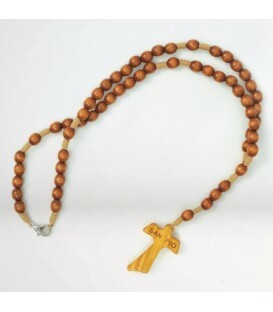 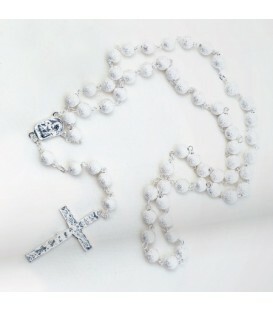 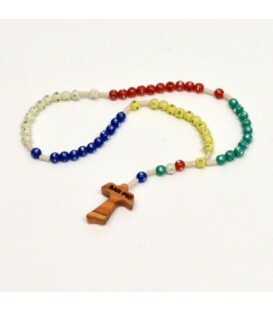 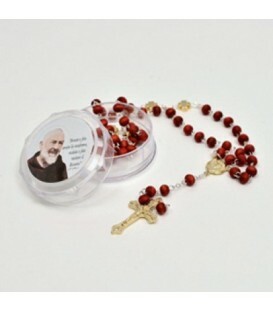 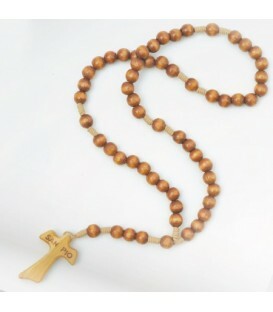 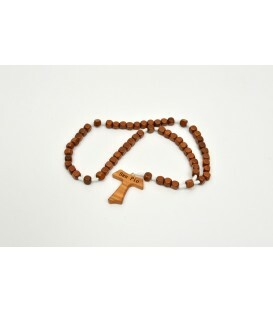 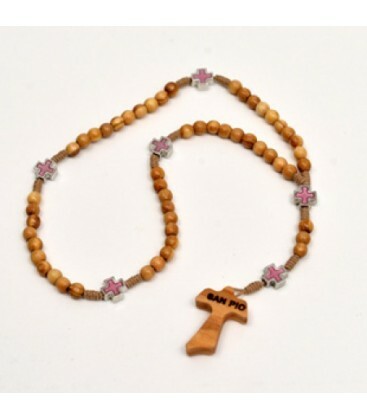 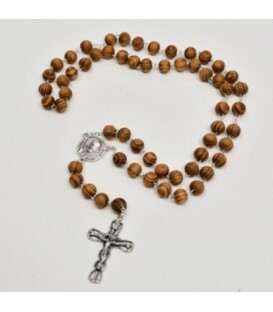 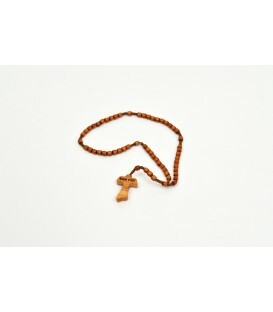 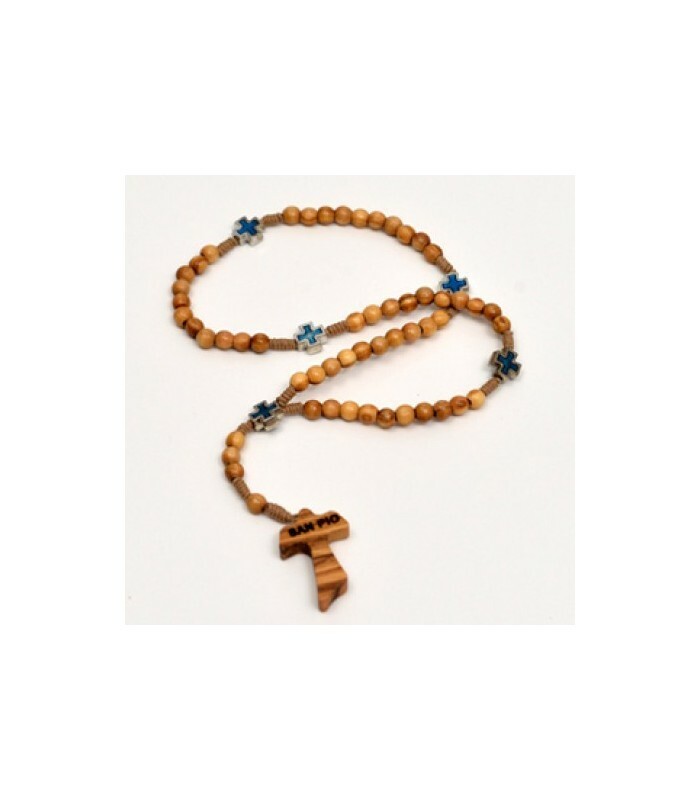 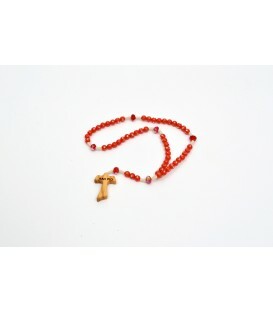 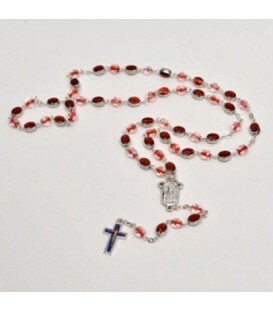 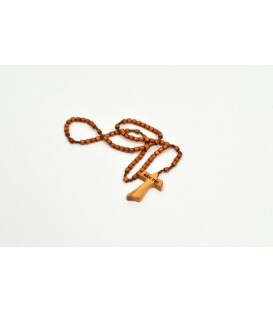 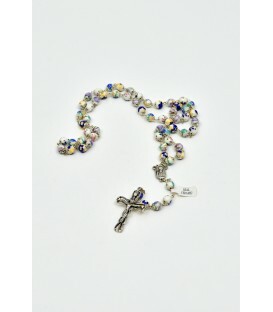 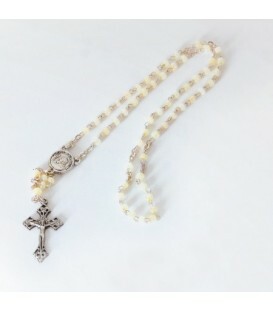 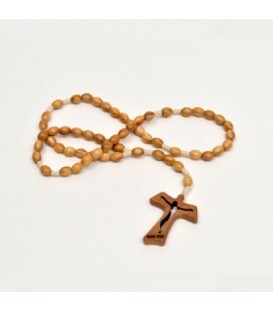 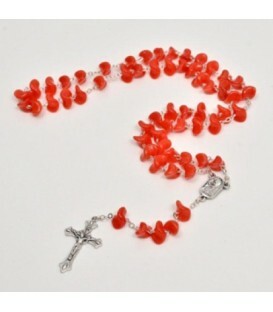 Olive wood Rosary dry seasoned, with smooth round grains and rope tying. 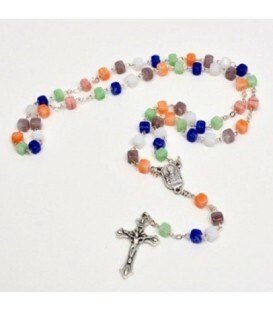 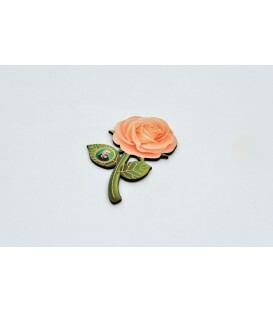 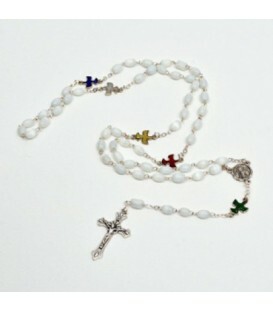 Celtic Cross of celestial color enamel. 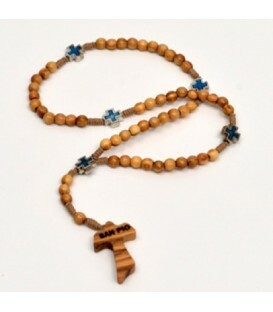 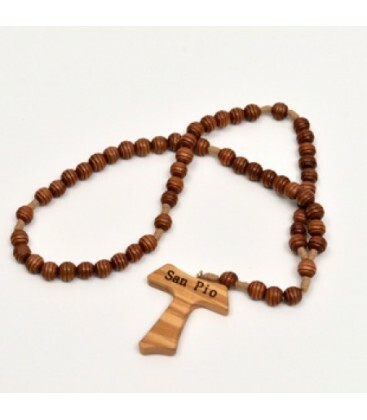 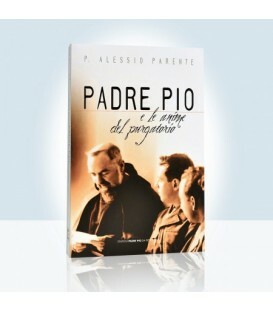 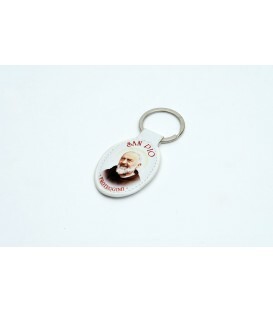 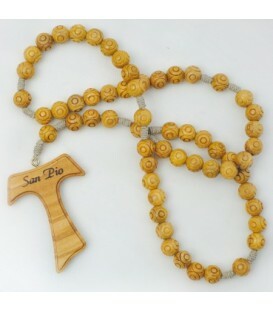 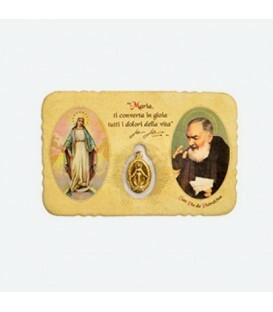 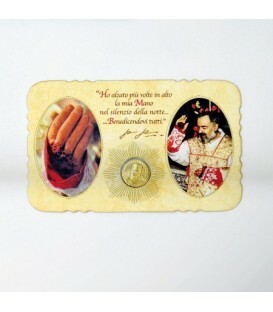 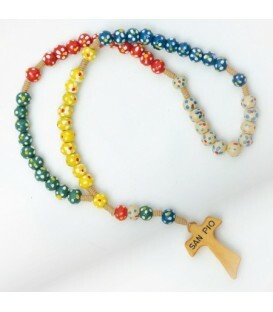 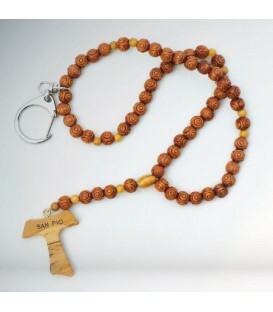 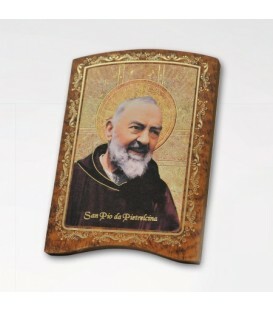 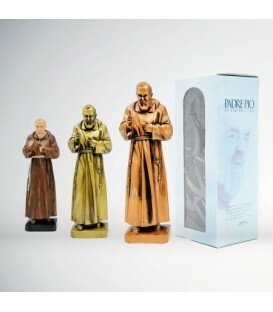 Tau in olive wood with inscription "San Pio".